✓ In a right angled triangle we can define all the trigonometric ratios. Sine is defined as the ratio of the side opposite to that angle to the hypotenuse. 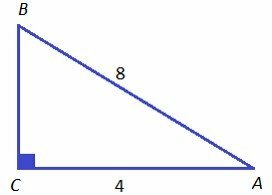 Cosine is defined as the ratio of the side adjacent to that angle to the hypotenuse. Tangent is defined as the ratio of the side opposite to that angle to the side adjacent to that angle. Cosecant is the multiplicative inverse of sine. Secant is the multiplicative inverse of cosine. 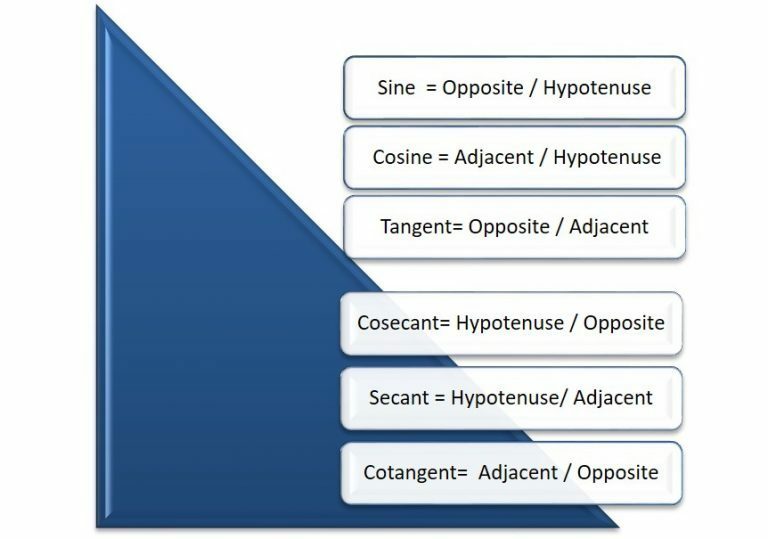 Cotangent is the multiplicative inverse of tangent. Problem 1. 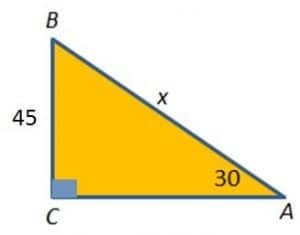 In this triangle, find the value of x. To Calculate: hypotenuse which is x? Problem 1. If x is an acute angle and tan x = 6, find the exact value of the trigonometric functions sin x and cos x. Problem 2. 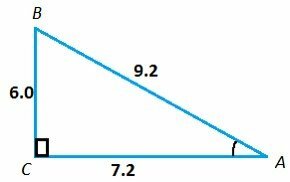 What is the value of cos A ,cot A and sec A in given triangle? Be it homework help with trigonometry or practice worksheets for your math hour at home, eTutorWorld has it all!